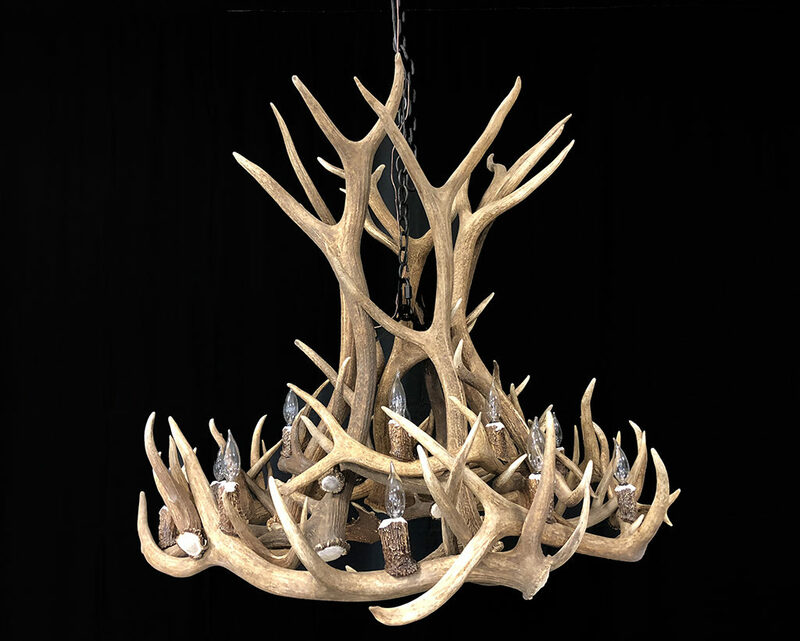 The Gallatin is a significant Elk Chandelier and in addition to extra large elk antler it has 4 large mule deer antlers woven in to this design giving it that true western heritage. Named after Montana’s Gallatin Valley this chandelier’s grandeur will amaze you for a lifetime. This design is perfect for any great room, large entry or lodge. Light fixtures: 14 (use 25, 40 or 60 watt bulbs for desired effect.